Next time you are making a batch of frozen concoctions, think about switching things up with a little kick. Incorporating some spice into your frozen margaritas is totally tasty - consider it the perfect blend between hot and cold! Try making these spicy frozen margaritas with your Margaritaville® Bahamas™ Frozen Concoction Maker®. Don't worry, just a little jalapeno is used to add just a touch of heat to this frozen margarita - but you can always add more if you'd like to take the heat to the next level! Add ice to the reservoir and remaining ingredients to your Frozen Concoction Maker®. Turn on to shave ice and perfectly mix your spiced up margarita. Rim glasses with salt and pour your concoction. Garnish with lime and jalapeno slices. 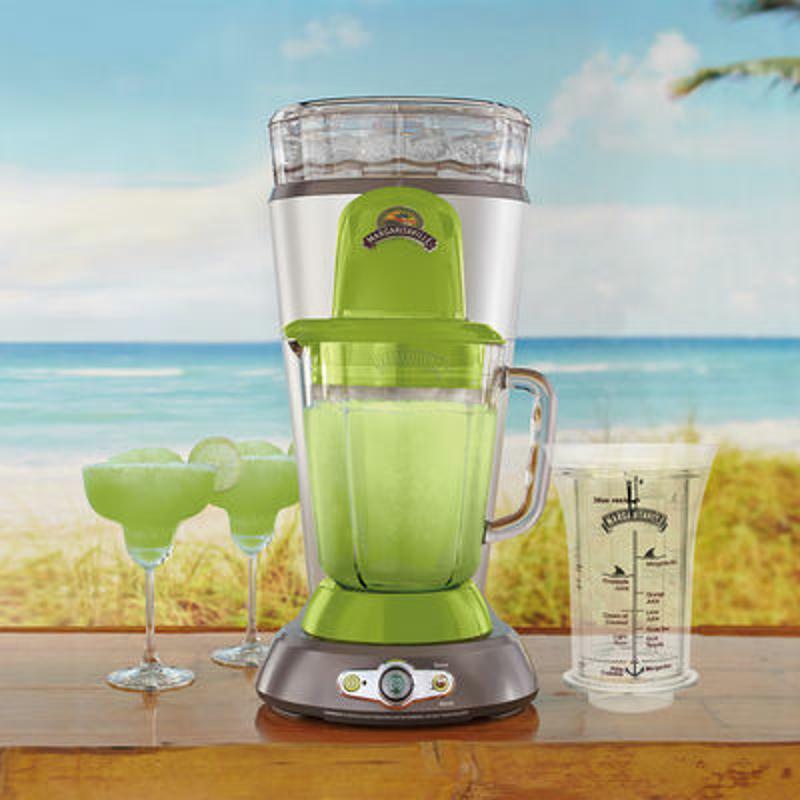 Use your Frozen Concoction Maker® to make frozen margaritas with some heat. Sweet chocolate and spicy chili are a delicious flavor pairing that puts a unique spin on the traditional margarita. Using your Frozen Concoction Maker® with ice added to the reservoir, automatically mix ingredients to the perfect margarita consistency. Mix together salt and a dash of chili powder in a small bowl and use to rim the glasses, then pour, sip and enjoy! A dash of cayenne pepper has this frozen margarita bringing the heat, while sweet pineapple balances the spice. Add ice to the reservoir and remaining ingredients to your Frozen Concoction Maker®. Hit the switch and let it mix. Rim glasses with cayenne salt, pour concoction and garnish with a pineapple slice. This creative frozen margarita is equal parts spice and refreshment. Jalapeno adds some heat while cucumber cools things off for the perfect blend of flavors. Place ice in the hopper and remaining ingredients in your Frozen Concoction Maker®. Hit the switch to automatically mix your frozen concoction. Serve in salt-rimmed glasses and garnish with a cucumber slice.